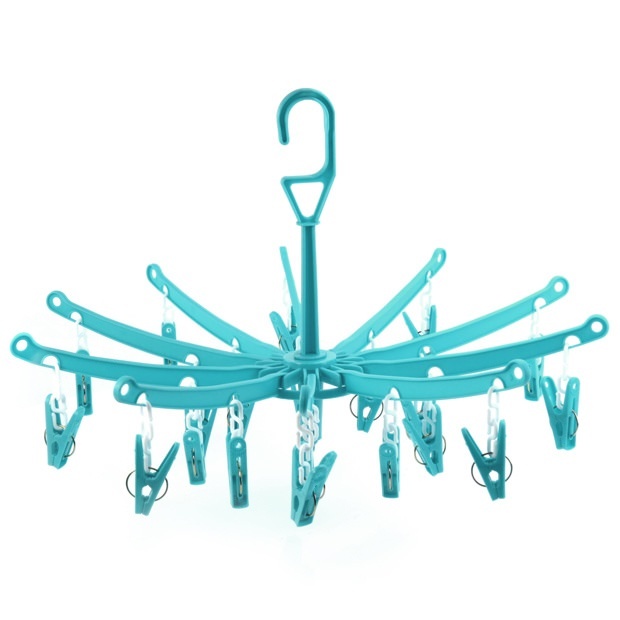 Quality turquoise plastic frame with 20 firm grip spring pegs. Great for outdoor drying too. Easily bring in your small items in one go when it starts raining! Large plastic hanging hook for easy indoor hanging around the home. Neatly folds away after use to just 9cm in diameter. Size: Length x Width 29cm x 45cm (11.5'' x 18'') approx. These hangers are better quality than those I find in local shops, and I use the two that I have all the time. Wouldn't be without them!